Are you getting married at Wootton Park and Looking for a beautiful fireworks display to round off your wedding? If so, you are in the right place. Sirotechnics have delivered some wonderful fireworks displays at Wootton Park. Quickly becoming the favourite choice for discerning clients choosing Wootton Park as their reception venue, Sirotechnics have been delivering wedding firework displays country wide for many years. We have a strong heritage backed up by providing bespoke firework displays on each occasion. We are able to match your colour theme, create heart shapes in the sky and write your initials either side of a strobing heart. Sirotechnics Fireworks start from as little as £650.00 for a 4 minute display using a wide variety of effects imported direct by us, meaning you get the very best value from any display company in the area. Based in Solihull, with Wootton only moments away, rest assured you have the winners of UK’s most prestigious firework industry award on your doorstep for your wedding fireworks. 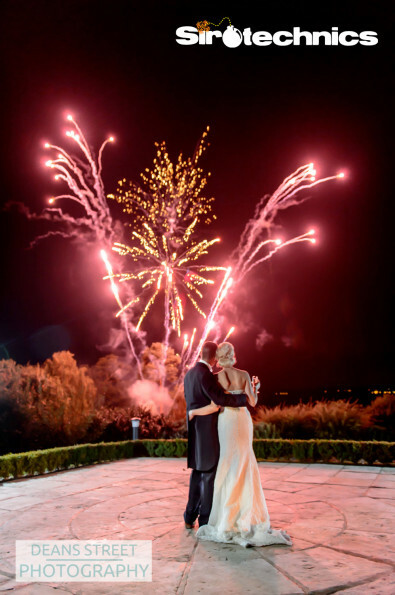 To check availability for your Wedding Fireworks at Wootton Park – contact us here.